Dolph & Associates is a compensation and benefits firm focused on Executive and Employee Benefits, Estate & Business Succession. Our proprietary interest is to crystalize our client’s financial objectives and assist them in implementing a plan to accomplish those objectives. Through our expertise, experience and unparalleled resources, we remain dedicated to providing our clientele sound recommendations geared specifically toward the accomplishment of their objectives. The asset of our client that we value most is their trust. 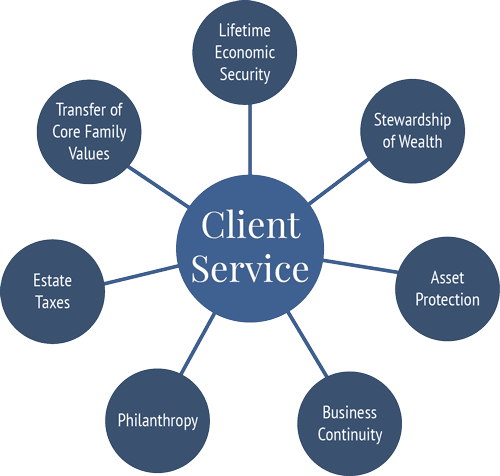 To provide business, estate and philanthropy planning and succession services to individuals, business owners and professionals based on knowledge and integrity. Pass on their hard-earned assets (including their businesses) to their desired heirs in a manner that enables them to leave the legacy they intended.